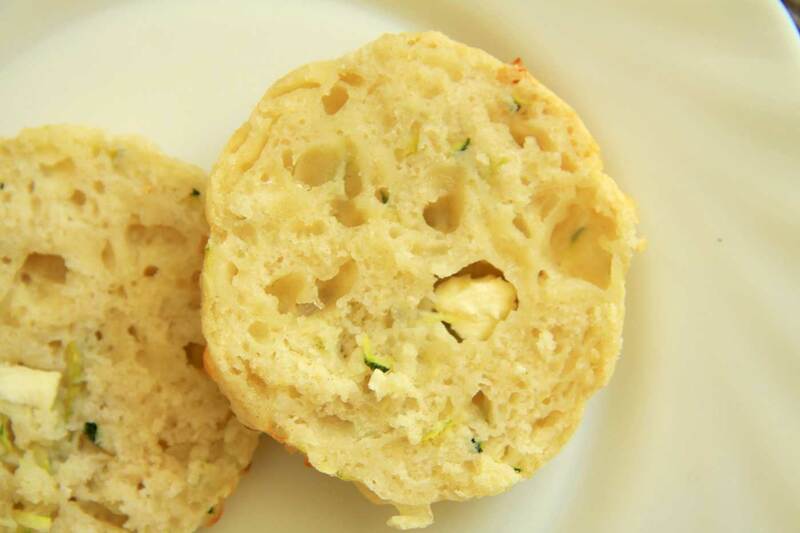 ZUCCHINI FETA SCONES – NO BUTTER! 1. Preheat the oven to 200C (390F) and line a heavy and tall baking tray* with baking paper. Grate the zucchini, wrap in paper towel and squeeze out excess moisture. 5.5cm-round pastry cutter dipped in flour, cut out rounds from dough (alternatively, cut dough into squares or triangles with a knife). Bush each scone with extra buttermilk. Roll remaining dough and continue cutting until all dough is used. Bake in the oven for 18-20 minutes or until golden. 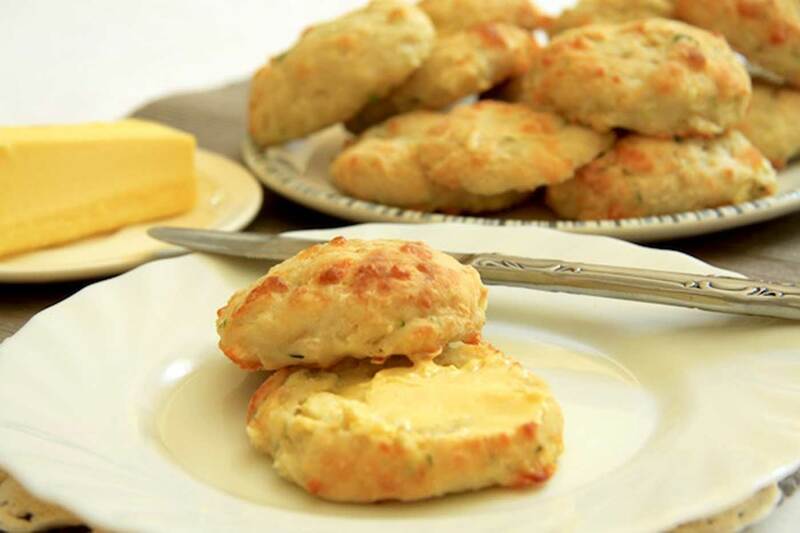 These scones are best eaten the day they are made. However, they freeze really well when stored in an airtight container or bag. 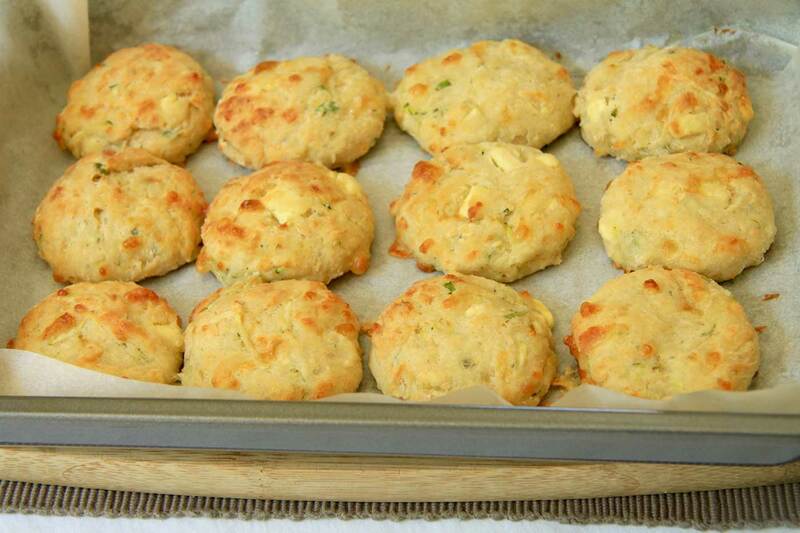 * A normal flat tray will work fine too, but having tall sides enhances lift and rise in the scones. * If you don’t have buttermilk on hand, place 1 tablespoon of vinegar in a measuring cup and add enough milk to make one cup. Let it sit for a few minutes before using. 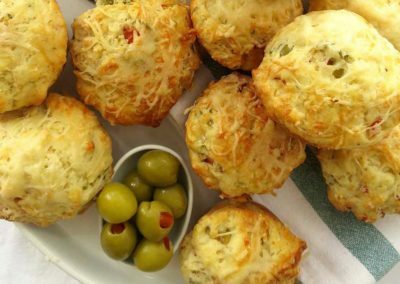 These easy to make zucchini feta scones have no butter in them, making them a little healthier and super easy to make! These are also perfect for school lunches for those of you who have kids back at school. The garden is still full of produce and last week I made these zucchini feta scones for my Nana (who is a big scone fan) with the zucchini in the garden. If you too have zucchini in the garden (or in the fridge! ), then you may like to give these a go. They are SO easy to prepare and you can easily substitute ingredients for what you have on hand (e.g. zucchini for grated carrot, feta for cheddar cheese, etc.). 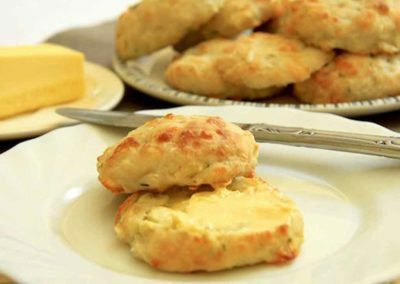 Buttermilk is used in these scones to create lift, tanginess and flavour. Just like any other scone dough, make sure it is as cold as possible. The cold water particles will evaporate in the oven to help create lift and produce an amazingly light and fluffy texture. Remember you can just use this instead of having to go buy buttermilk if you don’t have it on hand. 2. Zucchini have a lot of water which we don’t want in the dough. To removed excess water, place grated zucchini in a paper towel (or t-towel) and squeeze the water out as much as you can. 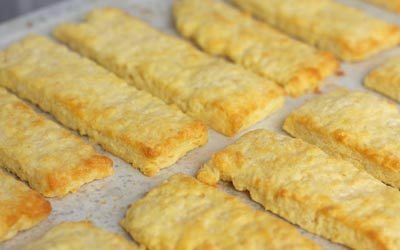 3.For tall scones, use a tall and heavy baking tray and heat the tray in the oven before placing on the tray. Also, scones like to stay close to each other, so make them cozy on the tray. 4.If using a cookie cutter to cut rounds, dip the cutter in flour first to make it easier to cut and to prevent misshaping. 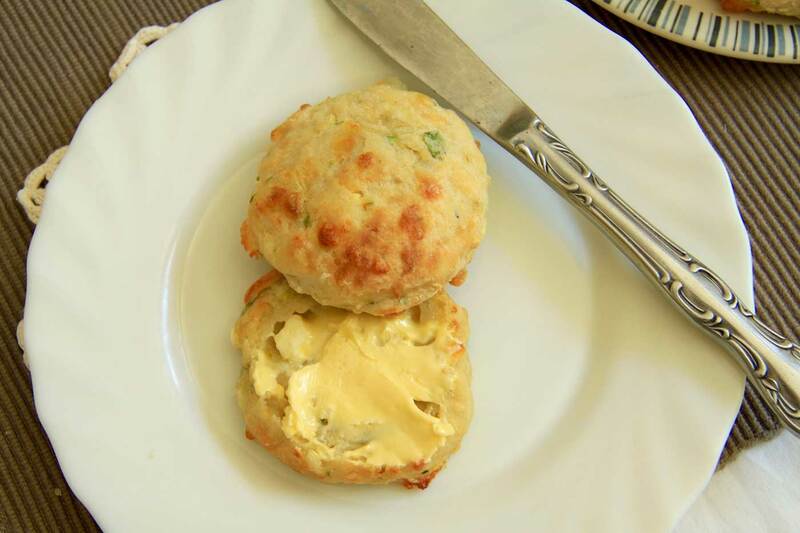 As with all scones, I like to enjoy them warm with a good dollop of butter.